Before you rush to submit your completed book manuscript to a publisher, has it been professionally edited? If it has been edited, then has it been proofread? If not, take a look at the following 19 top providers of book proofreading services. Deborah Dixon is a freelance editor and proofreader based out of New Orleans, LA. As the founder and managing editor of Shalamar Media, Deborah provides developmental editing, line editing, and proofreading services. She is more than happy to work on projects from all mainstream genres. She charges a flat fee for the first 50k words of your manuscript, and $0.01 per word after the initial 50k. If your book has a smaller word count, she highly recommends that you get in contact with her to determine a fair project price. While she does not offer free sample edits, you’re more than welcome to get in touch with Deborah with any questions or to express interest in working with her. You can find her website’s online contact form here. Sarah Sharp is the founder and chief editor of Creator’s Companion, a book editing service based out of Albany, Oregon. She loves to work on projects of science fiction, horror, mystery, thriller, and romance. Some of the services that she offers includes manuscript critiques, comprehensive manuscript editing, developmental editing, line editing, copy editing, and proofreading. Sarah only charges a flat project rate, but does request that you provide her with information as to how long your manuscript is and the kind of editing service you require so that she can provide you with an accurate quote. The best way to get in touch with Sarah is either via email, or you can use her website’s online contact form. Based out of Oxford, Connecticut, Faith Williams is a professional freelance proofreader. She’s worked on projects of mystery, romance, science, fiction, and erotica. With over six years of experience in the field, she knows exactly what to do to help free your manuscript of errors before submission. As the owner and managing editor of the Atwater Group, her proofreading service will identify and correct errors with capitalization, clarity, faulty grammar, misspellings, syntax, typos and more. Her proofreading rate begins at $1.50 per page (assuming the standard page is roughly 250 words). If you’re interested in Faith’s services, you can contact her via email to request an edit sample and project quote. Sabrina Leroe is an award-winning editor based out of Silver Spring, Maryland. With a Master of Liberal Arts from Johns Hopkins University and a Professional Certificate in Editing from the University of California, Berkeley, Sabrina has both the expertise and experience to help you along your writing journey. As the founder of Bespoke Editorial, she offers developmental editing, line editing, copyediting, and proofreading services. Her proofreading rates start at just $0.015 per word. You can contact her via email or through her website’s online contact form to request a free edit and a project quote. With over twenty years of editing experience, James Gallagher is the founder of Castle Walls Editing LLC based out of Solomons, Maryland. He has worked on a number of both fiction and nonfiction projects. Some of the services that he offers includes proofreading, copyediting, line editing, and writing. As a long-time horror writer himself, James knows exactly what it takes to make sure your manuscript ready for publication. If you’re interested in working with James, you can contact him via email or through his website’s online contact form to request a free project quote. Meghan Stoll is an independent freelance editor and proofreader who’s based out of Phoenix, Arizona. She has a great deal of experience as an in-house editor and draws upon her experience to help authors out there with her editing services. She offers line editing, copyediting, and proofreading. Her proofreading service specifically corrects and addresses any typos or missing words, issues with punctuation, consistencies, and touches upon spacing and font. Her proofreading rate begins at $0.01, but she highly encourages you to get in contact with her for a more accurate project quote. The best way to get in touch with Meghan is through her website’s online contact form. Brittany Dory is the founder of Blue Minerva Copyediting. She provides a comprehensive set of editing services geared towards fiction authors. Based out of Oklahoma City, Oklahoma, Brittany is an official member of the Editorial Freelancers Association and has nearly eight years of both in-house and freelance editing experience. She offers copyediting, developmental editing, and proofreading services. Since all projects vary in length, complexity, genre, and require different editing services, she strongly encourages you to get in touch to receive a free project quote. You can reach Brittany via email or through her website’s online contact form. Jessica Snyder is an American freelance editor who began her career with Entangled Publishing in 2013 as an intern. She quickly made her way up to become editorial assistant, and soon became a freelance editor in 2016. She specializes in editing romance books and has worked on projects like the Heart series by Tarina Deaton, “Hot Heir” by Pippa Grant, and “Love on the Cape” by MK Meredith. She offers developmental editing, line editing, copyediting, and proofreading services. Her proofreading service begins at a rate of $0.006 per word up 100k words. If you have a project that’s longer than 100k, she recommends that you get in contact with her to receive a project quote. The best way to reach her is through her website’s online contact form. Based out of Hillsborough, North Carolina, Emily Buehler is a freelance editor who loves to work on fiction manuscripts. She also happens to be an author herself, and is actively seeking to expand her fiction-editing portfolio. Some of the services that she offers include manuscript critiques, developmental editing, professional beta reading, line editing, copyediting, and proofreading. If you’re interested in working with Emily, you can reach her via email to discuss project services and rates. Marinda Valenti is a freelance editor based out of Brooklyn, New York. With five years of experience as an editor, she is the founder of Marinda Proofreads! She loves to work with authors who have projects of young adult fiction, specifically within the genres of contemporary fiction, mystery and thriller, romance, and adult-level horror. She specializes in proofreading, which means she can help take your manuscript and polish it up to be submission ready. She has a project minimum of $35, but her rates vary depending on the project. To receive a free project quote, you can get in contact with Marinda using her website’s online contact form or via email. Damian Tarnopolsky is an experienced independent editor located in Toronto, Ontario. He specializes in fiction manuscripts, having worked with Random House as an in-house editor. Some of the services that he provides includes manuscript assessments, copyediting, structural editing, and proofreading. With his extensive experience in the industry, he can even help his clients with guidance on how to find an agent and publisher based on their work. While his rates aren’t stated explicitly on his website, you can contact Damian either by email or regular mail to receive a project quote and to answer any questions that you may have. Aerin Caley is an editor based out of Nampa, Alberta who specializes in working authors of young adult fiction, science fiction, fantasy, and romance. She is an official member of Editors Canada and offers services like copyediting, stylistic editing, and proofreading. She’s worked with authors like Victoria Lecher, author of “Dear Titus (Letters I Wish My Dog Could Read,” and Laura Mayer, author of “Raising Pasha.” Her rate begins at $40 (CAD) per hour. She is more than happy to provide a sample edit of the first fifteen to twenty pages of your manuscript to see if her services would be a good fit for your project. If you’re interested in working with Aerin, you can contact her by phone or email. Daniel Varrette is another freelance editor based out of Toronto, Ontario. He likes to work on manuscripts about personal finance, self-help, works of literary fiction, science fiction, fantasy, and poetry. With over twelve years of experience in the book publishing industry, Daniel definitely knows his way around a manuscript. The services that he offers includes copyediting, developmental editing, indexing, structural editing, and proofreading. He’s worked on projects like “The Professional Financial Advisor IV” by John DeGoey and “Things Are Different Here” by Rod Michalko. You can reach Daniel by email in order to receive a free project quote. Allison Turner is a UK-based editor who has worked on projects like “Why Do We Exist?” by Samuel Vozeh, “Step Out f Your Comfort Zone” by Selina Man Karlsson, and “Leading in High Heels” by Tulia Lopes. She is the founder and managing editor of the editing service On Words. Some of the services that she offers includes line editing, copy editing, ghostwriting, grammar coaching, and proofreading. The best way to reach Allison to receive a free project quote is either by phone, Skype (username: turner-hehlen), or email. Based out of Retford, Nottinghamshire, UK, Cally Worden is a fiction editor and proofreader. She loves to work with independent authors and has a worked on projects like “The Coal Boat” by Sam Kirk and “The Felicity Hunters” by Deirdré Connolly. Services that she offers includes manuscript critiques, developmental editing, line editing, copyediting, and proofreading. As your proofreader, she will identify and correct any issues with spelling and grammar, consistency, manuscript formatting, and proper punctuation. If you’re interested in working with Cally, the best way to get in contact with her for a free project quote is through her website’s online contact form or via email. Sarah Grey is an editor based out of Philadelphia, Pennsylvania. As an official member of the Society for Editors and Proofreaders, Sarah loves to work on projects of nonfiction about topics like political science, LGBTQA+ issues, Middle Eastern studies, cultural theory, business, and more. She is the owner of Grey Editing LLC and offers top-notch proofreading services. Since she understands that all projects are different lengths and require different turnaround times, she highly recommends that you reach her either through this online contact form or via email to receive a free project quote. Claire McGregor is an Australian editor and member of the IPEd since 2014. She prefers to work on nonfiction manuscripts concerning topics like natural health, children’s health, fitness, education, philosophy, and travel. Services that she offers includes structural and developmental editing, copyediting, and proofreading. She urges authors interested in her proofreading services to first make sure that their manuscripts are just about ready for submission to a literary agent or publishing house, as proofreading is intended to be the “final polish,” not a comprehensive fix. 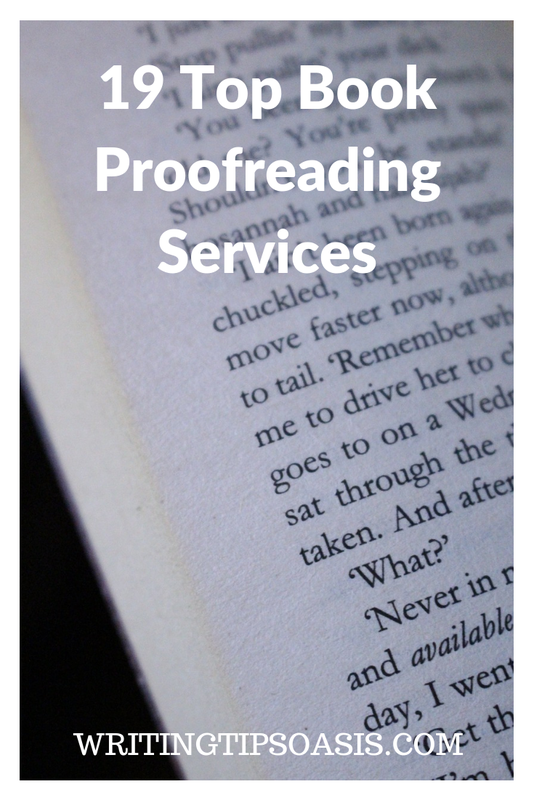 If you’re interested in Claire’s proofreading services, you can reach her through her website’s online contact form or via email to receive a free project quote. With over 200 book editing projects under her belt, Carolyn Leslie is an excellent choice in book editor. Based in Australia, Carolyn herself is a writer who’s works have appeared in Screen Education, Metro Magazine, and Australian Style. She is an PIEd-accredited editor with over fifteen years of experience. She’s worked with companies like Penguin Random House and HarperCollins Publishers. If you’re interested in her proofreading services, you can contact her via this online contact form to request a project quote. As the founder of Wordthreads, a writing and editing service, Kristen Argall is an Australian editor with an extensive amount of in-house and freelance editing experience. She’s worked on award-winning projects like “Leon Morris” by Neil Bach and “Economics for Life” by Ian Harper. She offers a very thorough proofreading service that reviews your manuscript for typographical errors, spelling and grammatical mistakes, as well as overall manuscript formatting and style. If you’re interested in working with Kristen, the best way to reach her about your book is either via email or through her website’s online contact form. Are you aware of any other book proofreading services? If so, please tell us about them in the comments box below!